Belle Chasse at Helen Cox, 4 p.m.
East Jefferson at Ben Franklin, 4 p.m.
Hahnville at John Curtis Christian, 5 p.m.
Higgins at Thomas Jefferson, 4 p.m.
Houma Christian at St. Martin’s Episcopal, 4 p.m.
Grace King at Kenner Discovery, 4 p.m.
Lakeshore at Franklinton, 5:30 p.m.
Mandeville at Hammond, 3:30 p.m.
McGehee at South Plaquemines, 4 p.m.
Northshore at Covington, 3:30 p.m.
Slidell at Chalmette, 4:30 p.m.
St. Mary’s Academy at Riverside Academy, 4 p.m.
Patrick Taylor at John Ehret, 4 p.m.
Ascension Christian at East Iberville, 4 p.m.
Central at Zachary, 5 p.m. 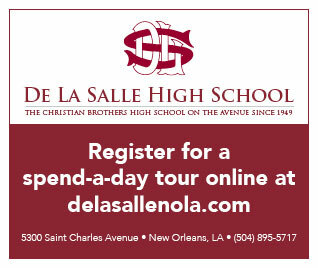 The Church Academy at Broadmoor, 4 p.m.
Denham Springs at Walker, 4 p.m.
Dunham at Family Christian, 5 p.m.
Episcopal at Woodlawn (BR), 5 p.m.
Runnels at Maurepas, 4 p.m.
St. John at Ascension Catholic, 5 p.m.
St. Scholastica at St. Michael, 4 p.m.
St. Thomas Aquinas at Doyle, 5:30 p.m.
Destrehan at Central Lafourche, 4 p.m.
Jeanerette at Franklin, 5 p.m.
St. James at Covenant Christian, 4 p.m.
Thibodaux at H.L. Bourgeois, 4 p.m.